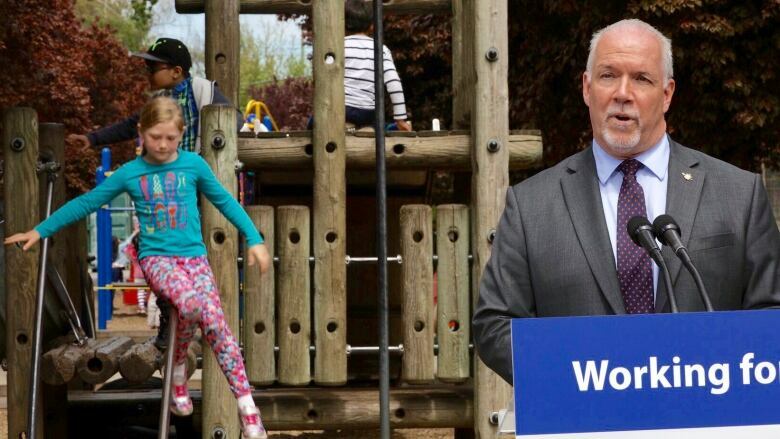 Dozens of schools around British Columbia will have new government-funded playgrounds by the time students return to class in September. School playgrounds - who pays and how expensive are they? Jen Mezei, president of the B.C. Confederation of Parent Advisory Councils, says parents have advocated for a playground relief fund for more than a decade, and playgrounds should not be dependent on a school community's capacity to raise money. "The new playground equipment program recognizes the pressure on parents to fundraise to replace aging and unsafe playground structures," says Mezei. "A child's access to a safe playground should not be dependent on ability or disability." Horgan says all students deserve quality, safe and accessible playgrounds at their schools, no matter how much parents can fundraise. "And this levels out the challenges we've had in districts right across the province. Not every school family has the ability to raise the resources another school family does. That inequality has led to an uneven mix of playground equipment." The program will provide new or upgraded playgrounds at 51 schools in time for the start of the new school year, with 25 of them receiving $105,000 so that we can build universally accessible playgrounds. The remaining 26 schools will receive $90,000 each for playground upgrades, Horgan says.